Prepare Your Students for the IC3 Living Online Exam with 2 New Modules! Teachers across the country use Business&ITCenter21 to help prepare their students for the IC3 Living Online exam. However, we had a few gaps in content coverage related to social media, smartphones, email, and electronic calendars. Because we know how important this exam is for you and your students, we developed new curriculum to better meet the requirements! So, what are the new modules? 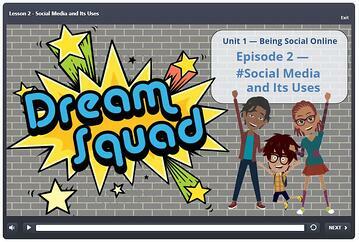 This module will introduce students to The Dream Squad. This cast of characters will guide learners through making good decisions about online behaviors as well as learning more about smartphones. This module will capture your students' attentions with great story telling and plenty of interaction. Lesson plans, handouts, and more! 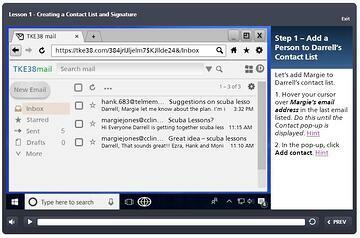 In this module, students learn about living online with an introduction to email and calendar applications. These are two online applications that can help students communicate and organize their busy lives. This module will give your students hands-on practice in simulated applications. Want to learn more about using Business&ITCenter21 to prepare students for the IC3 Living Online exam?